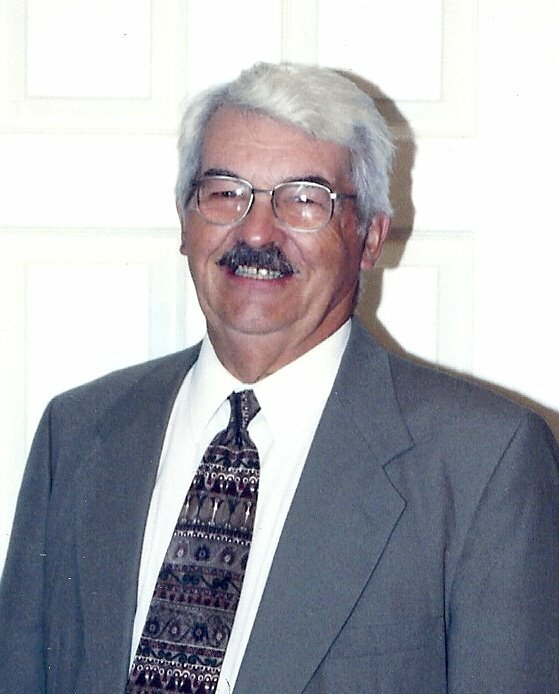 Obituary for George F. Weaver, Jr. | Feiser Funeral Home, Inc.
George F. Weaver, Jr, 88, died Thursday, March 21, 2019, at Gettysburg Hospital surrounded by his loving family. He was the husband of Jane L. (Hunter) Weaver, his wife of 62 years. George was born July 9, 1930, in Gettysburg, the son of the late George F. and Edna E. (Ullrich) Weaver, Sr.
George was a 1948 graduate of Biglerville High School, a life member of St. Paul’s “The Pines” Lutheran Church in New Oxford, and retired from Cole Steel in York. He was also a member of the New Oxford Social & Athletic Club, and the Adams County Fish and Game. George enjoyed watching and attending sporting events and was an avid New York Yankees fan. He thoroughly enjoyed fishing and sailing in Ocean City, MD, and the Chesapeake Bay with his favorite Captain, son-in-law Tim, and the family. He enjoyed traveling and adventures to Jamaica, the western and southern states, the Bar Harbour area, Michigan, and many cruises with his family and friends. He enjoyed playing cards, puzzles, harvesting, gardening, seafood feasts, and family gatherings. He enjoyed many elk hunting trips to Colorado, deer hunting trips to Philipsburg, and all the hunts on his farm. He instilled many positive values to his family, including the teaching of farm fresh produce and living off the land. His greatest love of all was his wife Jane, their children and grandchildren. In addition to his wife Jane, George is survived by his children, Michelle L. Shaffer and her husband Tim of York, Scott A. Weaver and his wife Andrea, and Michael A. Weaver and his wife Kathy, all of New Oxford, seven grandchildren, two great grandchildren, four brothers, Harold of York Springs, John, Richard and William, all of Gettysburg, three sisters, Lucille Chapman of New Oxford, Elaine Ness of Salt Lake City, UT, and Patricia Mackosian of Abbottstown, many nieces and nephews. He was predeceased by a son, George F. “Rocky” Weaver, III, a brother, Robert Weaver, and a brother-in-law, Bill Bailo. Funeral services will be held on Wednesday, March 27, 2019 at 11:30 AM, at St. Paul’s “The Pines” Lutheran Church, 1535 Hunterstown-Hampton Rd, New Oxford, with Deacon Nancy Gable officiating. Burial will be private. A viewing will be held on Wednesday at the church from 10 AM until the time of the service. Memorial contributions may be made to the church or to the American Cancer Society. Memories may be shared at www.feiserfuneralhome.com.